What was your last travel destination? Did you hike with your most adventurous friends? Did you escape to the beach? Did you travel overseas? Traveling makes you a happy person. But have you ever came back from vacation and felt extremely unhappy because the photographs you saw online didn't match up with what you saw in person? Maybe you read the reviews posted on a hotel's website and found that it wasn't anywhere close to the star rating it had online. Writing a good review of your experiences lets other travelers avoid the hassles you experienced. Whether you had an amazing time and can't wait to go back, or you were incredibly unhappy with your trip, you can still write a great review to inform others of your experiences. Before you write your review, you need to organize your thoughts. Create a simple pros and cons list in the first few days after you get back when your trip is still fresh in your mind. Wait a few days after the list to think about your trip. You might find that some things that seemed so bad at the time actually weren't too bad. Writing out a pros and cons list gives you a starting point for your review and lets you see which things to include and what things to leave out. Give the attraction, destination or hotel you want to review a star rating on a list from one to five, with one being the worst thing ever and five being something you loved and can't wait to experience again. Keep that star rating in mind as you write your review. A traveler reading a lower star review will want to know what made it so bad. Was the hotel in a bad location, have a leaky roof in your room or have none of the amenities listed on its website? When writing a positive review, focus on and highlight the things you loved. Some travelers make the mistake of posting a poor or bad review as soon as they come home without giving themselves time to think about their trips. In addition to giving yourself a few days, wait a few more days before posting your review. Look over your review to see if you included everything a traveler might need to know. You can also ask a close friend or loved one to check out your review and give you some feedback before you post it. One of the best ways to give other travelers a good idea about your trip is with some detailed photographs. Take and post pictures of what your hotel room looked like when you arrived, the swimming pool, the landscaped grounds and even the breakfast buffet. Get some help deciding what to photograph before you leave. The photos posted on travel websites like Outdoor-Traveler photos may give you some inspiration as to what photos to take. You may even want to take similar photos to show travelers how your images compared to the images posted by professional companies. 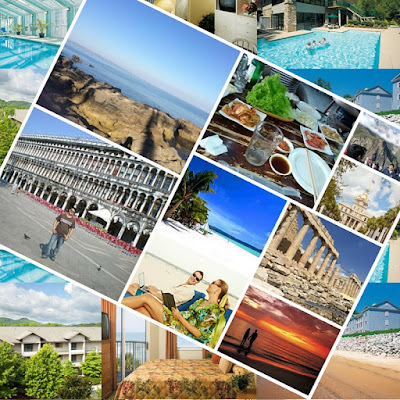 Adding a few pictures is a great way to make all the travel reviews you post stand out online. Great tips, especially the pros and cons list. Thanks for the share! These are nice tips. I agree that nice photos are really important when sharing a trip review. This is one of those cases where a picture really paints a thousand words. I think it's really important to be honest on the review. For me, I focus more on the experience on the trip than the tiny details. I love taking pics of the places we go to. Makes me feel like a real photographer, haha. I should really work on my details in text, though, to be more objective about my entries. Thanks for this. These are great tips but if I may, in order to write a detailed review, the traveler must start listing things during the trip. That's what I do so I won't easily forget the things I notice and realize. Yes, there should be pros and cons to show that you are writing fairly. Detailed review as well with photos.